About 28 percent of uninsured adults and 29 percent of adults on Medicaid smoke nationwide, according to the Centers for Disease Control and Prevention (CDC), compared with just 13 percent of adults on private insurance plans and 12.5 percent on Medicare. 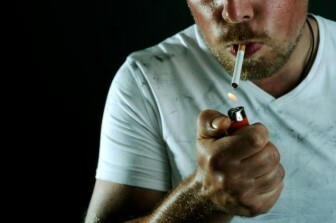 Among smokers, men are more likely to smoke than women. In 2013, about 480,000 people, or 18 percent of the adult population, in Connecticut smoked, according to the state Department of Public Health (DPH). The greatest share of smokers, 32.2 percent, lived in households where the annual income was less than $25,000, according to DPH, while another 10 percent were in households with incomes between $25,000 and $34,999. Connecticut’s HUSKY Health/Medicaid Program has expanded its coverage of tobacco cessation programs in recent years, according to David Dearborn, spokesman for the state Department of Social Services (DSS), which administers the program.